Want something more unusual than the classic solid blue or diagonal striped necktie? 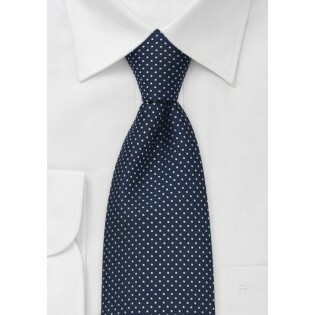 Then this dark navy blue tie with fine white polka dots will be a perfect choice. It is a tie that suits business attire as much as the semi-formal evening ensemble. There are several nice ways to match this beautiful necktie. This tie will look nice in any season and pairs quite well with almost any classic suit color. 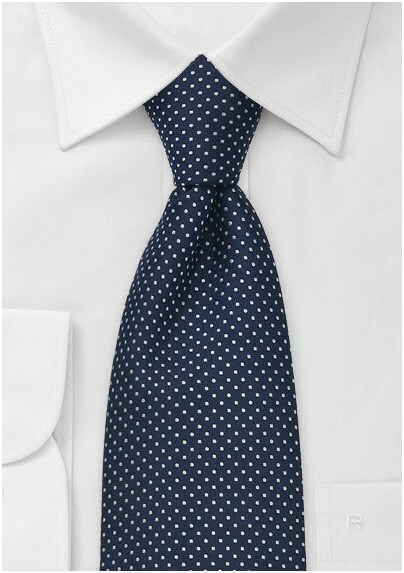 The preferred shirt color for this necktie is either classic white or light blue. Made by Puccini from microfiber.